RPC-625 (Signature redacted to prevent effects). Containment Protocols: Physical copies of RPC-625 are to be kept in standard Alpha-class Anomalous Item containment lockers. The primary focus of containment is to prevent the spread of online instances RPC-625 instances. MST X-Ray 6 "Annulifiers" is assigned to search for and remove all online instances of RPC-625 that occur. This process is to be carried out through the use of advanced image search software without any agents viewing the sites hosting RPC-625 to prevent affliction. This may be done by either removing the image or, if necessary, taking down the site hosting the image. Should both of these methods prove ineffective, focus should instead shift to preventing access to the hosting site until the image or site can be removed. Stage 1: Exposure to RPC-625 will cause affected individuals to immediately enter a catatonic state which can last from a few hours to several days. During and after this period, focusing on the subject's eyes will cause the effect of RPC-625 to be applied to the viewer. Stage 2: The subject exits the catatonic state. Subjects report that the image of RPC-625 is burnt into their eyes, although no actual damage can be located. Spread of RPC-625's effects through eye contact is far more prevalent during this stage. This stage lasts for a similar amount of time to stage 1. Stage 3: After stage 2 concludes, the subject will permanently reenter a catatonic state and begin emitting radio waves that have been confirmed to contain messages. These messages are, however, spoken in an unknown language and are, therefore, undecipherable. After this point, any subjects not in authority custody will disappear without trace. Attempts to track where these individuals are relocated to have failed, as have attempts to record the event, as trackers seemingly disappear and cameras are temporarily deactivated during this process. Attempts to manually observe the process has led to the observer disappearing as well. Currently, it is believed that this relocation is not an effect of RPC-625 and rather a response to the signals sent out by affected individuals during the third stage. After Incident-625-A, it is believed the group responsible for this relocation is a cult that identifies as Cetace's Kin, a group which has also involved themselves in the recovery process of RPC-350. This is seemingly confirmed by Document 625-B. Altering the color, texture or orientation of RPC-625 does not remove its anomalous effects, nor does distortion or obstruction of the image. However, censorship of the signature located in the bottom right corner of any RPC-625 instance does remove the effects. Research has shown that the signature is not the source of RPC-625's anomalous qualities, however, as placing it on any other image does not yield any unusual effects. Signature's contents are written in a currently indecipherable language. Incident-625-A: On ██-██-20██, whilst the stage 3 effects of RPC-625 were in testing, all security cameras at site-███ went offline simultaneously. When the cameras came back online, a group of ██ individuals adorned with blue robes had infiltrated the facility through unknown methods. Each carried a physical copy of RPC-625 and displayed the images to all personnel who attempted to apprehend them. Upon reaching the RPC-625 testing chamber, the individuals attempted to enter the chamber. It was at this point that Authority Security managed to approach and terminate every individual with the exception of a single survivor who was subsequently taken into Authority custody. The interview transcript with this individual is designated Document 625-B. ██ personnel were lost in this incident. No similar incidents have occurred since this event. Analysis of the deceased individuals involved in the incident proved that eye contact with them spread RPC-625's effects, implying that these individuals were either in stage 2 of RPC-625's effects or had progressed past stage 3. If the latter, the method through which this would be accomplished is unknown. After this incident, RPC-625's presence online increased drastically, leading to its current classification and containment procedures. Due to this it is believed Cetace's Kin is responsible for the distribution of RPC-625. Foreword: The following is a transcript of the interview of the surviving member of the Cetace's Kin raid group during Incident-625-A. Dr. B████: Can you tell me what the purpose of your attack on this facility was? Cetace's Kinsmen: The Great One demanded it. Dr. B: The… Great One? I'm afraid that doesn't answer my question, who is this "Great One?" Cetace's Kinsmen: (chuckles) I see you are one of those unenlightened. Unfortunate. The Great One is Cetace, the rightful ruler of this Earth. He required us to collect his new children. Those who have viewed his glory. Cetace's Kinsmen: Ignorant fool. The Great One is not to be called by such demeaning names! His image is to be respected! Cetace's children have suffered under the hand of mankind. No longer! Cetace will reclaim the world your kind, your disease, have stolen from him! Closing Statement: After this, the interviewee drew a sharp bone fragment from their robe and proceeded to stab themself in the chest repeatedly. Analysis of the corpse proved similar to the other deceased individuals. Contents of this interview have suggested that Cetace's Kin is responsible for the relocation of individuals in stage 3 of RPC-625 affliction. It also suggests that RPC-625 itself depicts an unclassified anomalous entity. Further research is underway to determine if this corresponds to an actual entity or if it is simply an imaginary figure of power which acts as a centripetal force within Cetace's Kin. As of now, the latter is considered most likely. I have been getting several proposals of weaponizing physical RPC-625 instances in a similar manner to those used in Incident-625-A. I don't think I have to remind you of RPC-625's stage 3 effects. Anyone we used this on would become a beacon. This isn't even mentioning the risk of accidental afflictions if someone so much as looks the wrong way. RPC-625 is not to be weaponized under any circumstances. I don't want to see any of these proposals again. 1. 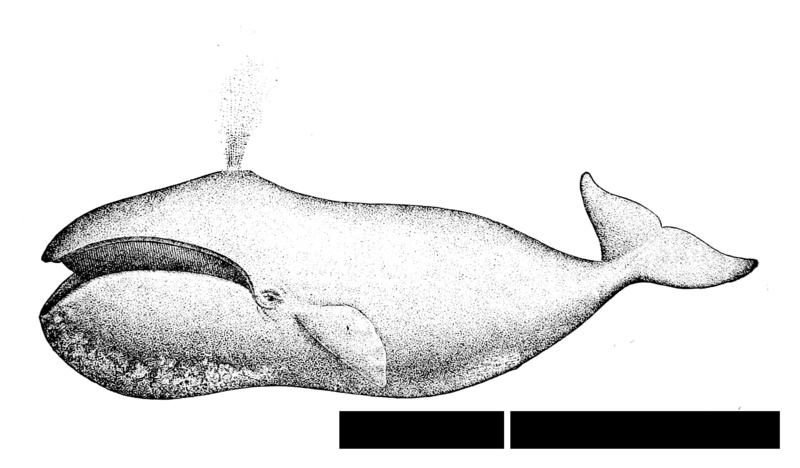 Commonly known as the bowhead whale.